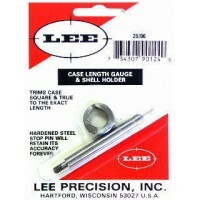 The Lee Precision .278 Lube & Sizing Kit is the fastest and easiest way to lubricate and size cast bullets. The Sizing Die has Standard 7/8x14 threads which are compatible with most brands of Single Stage Presses. Bullets are pushed through the sizing die nose first, so no special nose punches are needed. Gas checks are automatically seated and crimped in place. Sized bullets are dropped into a container. 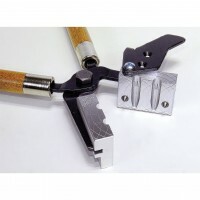 The Lee Precision Lube & Sizing kit is Intended for use on Single Stage Presses ONLY. The push through Punch is used in place of a Shell Holder in the Ram. Lee Double Cavity Mold produces a gas checked .277 diameter 135 grain round with flat bullet suitabl..